Few days ago this amazing gift/book arrived at my door step. An extraordinary book with 50 drawing by the artist that I admired for years, Christiana Soulou. 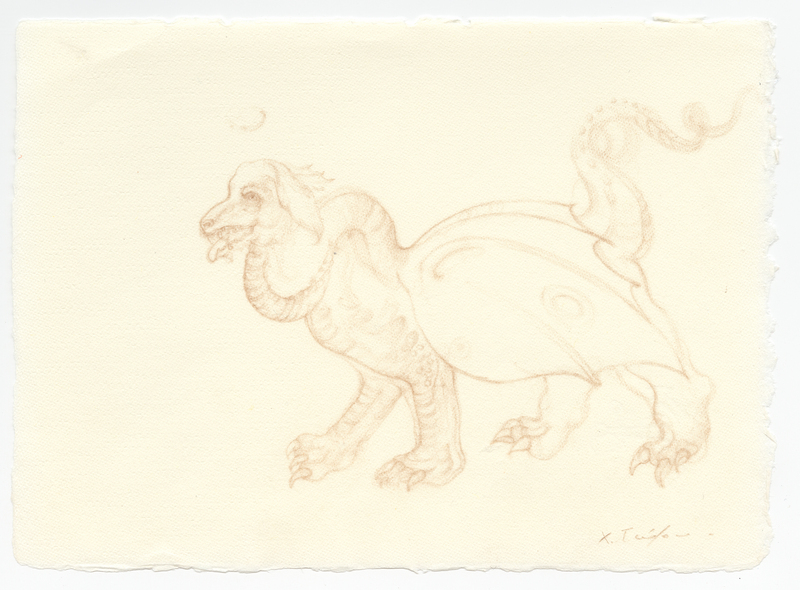 The drawings greatly inspired by Soulou’s love and admiration of Jorge Luis Borges and Margarita Guerrero’s book “The Imaginary Beings (1957) – a fantastic anthology of “strange creatures conceived down through history by the human imagination.” The project has evolved and expanded over more than two years, originating in a presentation at the 2013 Venice Biennale, where Soulou’s drawings were presented as part of ‘The Encyclopedic Palace’. 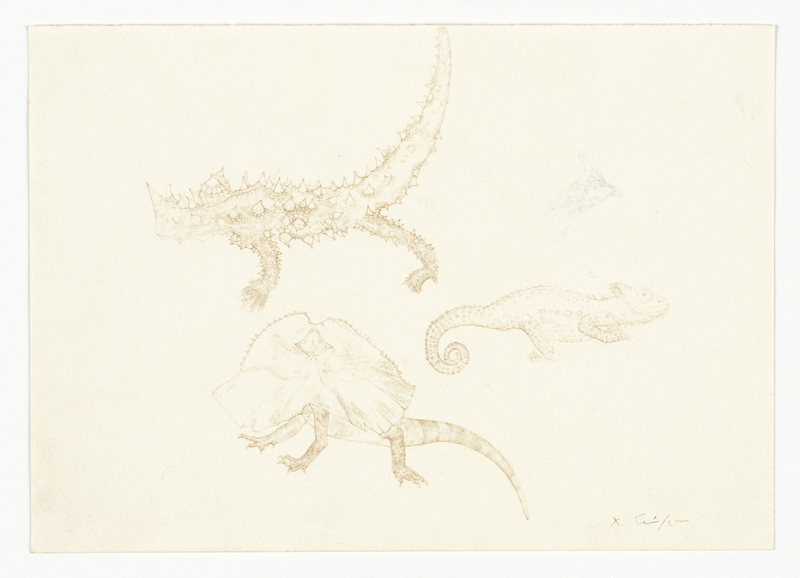 Published on occasion of the exhibition “The Book of the Imaginary Beings After Jorge Luis Borges, Sadie Coles HQ, London, 26 January -20 February 2016. Borges invites us to explore that zone of indecision where the material goes into the feeling. The same is not the same anymore and the other is not the other anymore as in the half-crocodile half-lion eats up the integrity and the other way round. 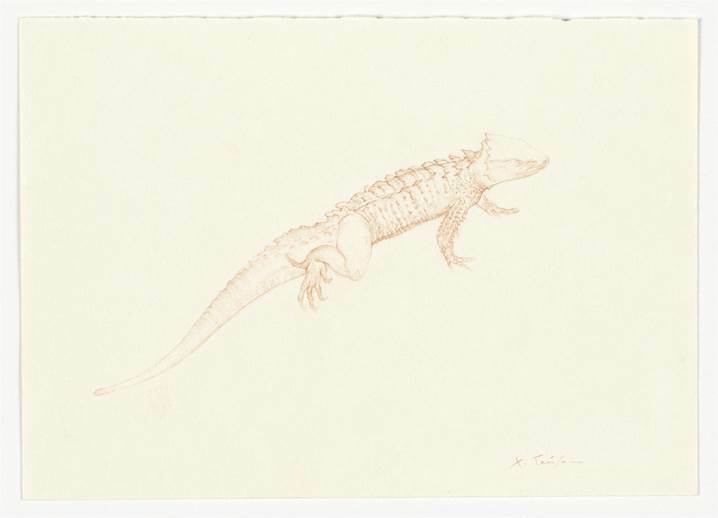 Here is it not about the imitation or resemblance; “is required on the opposite the power of ground basis, able to dissolve forms”, to destroy identities and impose the existence of such a zone where we do not know anymore what is crocodile and what is lion – because something rises up as the triumph of their in distinctiveness. 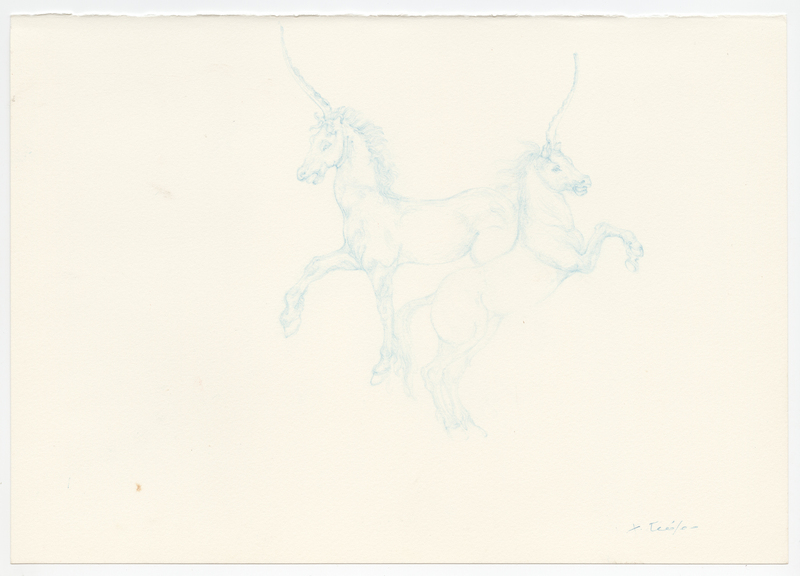 My drawings occupy that space. They are the paintings of that zone. Neither their resemblance not their difference. 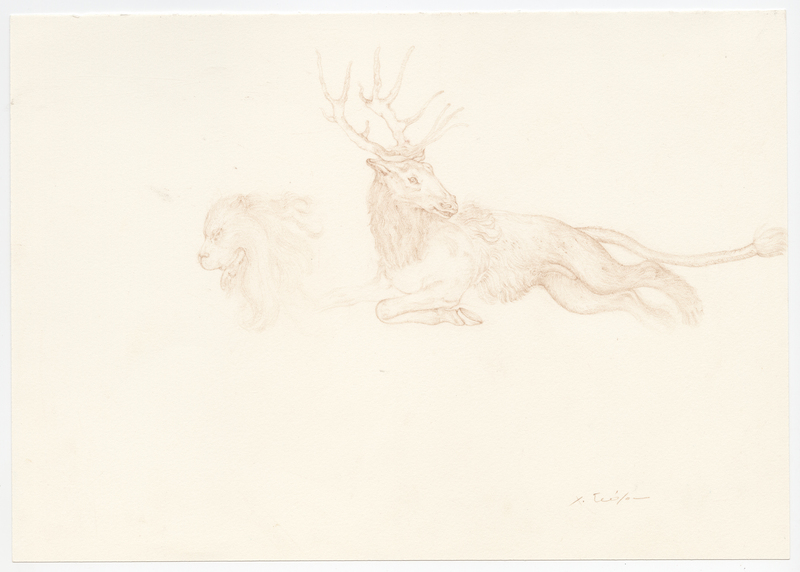 In the drawings of those animals it is not that the one is transformed into the other. It is the extreme contiguity in the dissimilar, the confluence of dissimilar elements under the same light, and the fact that something goes from one to the other. ( Christiana Soulou, 2014, translated from the french by Donatien Grau). 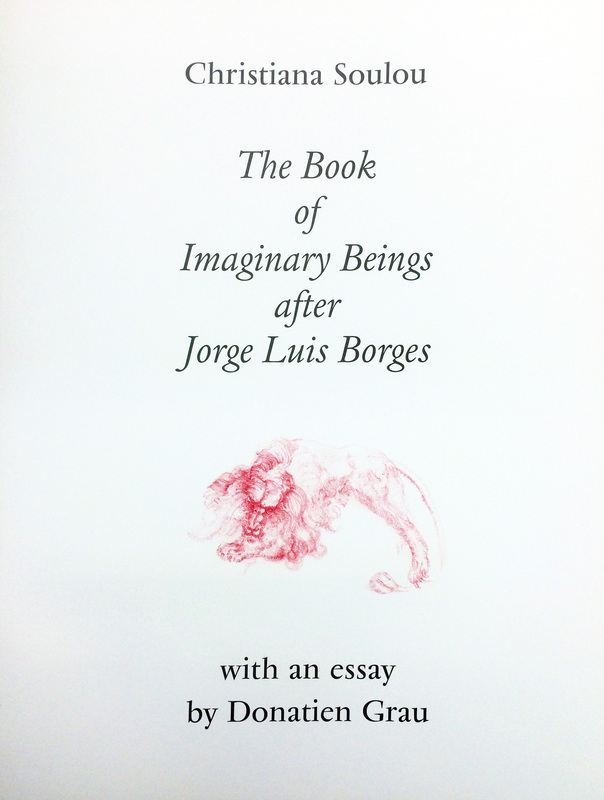 A remarkable notice is made in the book by Donatien Grau about Margarita Guerrero, co-author on “The Absent Author”… Most often, Borges is cited as the only author of “The Book of Imaginary Beings”, but in fact there were two: Jorge Luis Borges, whose eminence as one of the very few late encyclopaedic minds of the twentieth century is unparalleled, and Margarita Guerrero, his co-author, with whom he wrote the book. In the english edition. Guerrero never appears as Borge’s co-author, even though the prefaces of the two editions in Spanish are co-singed by him and her; even though the French edition lists her as a co-author; even though the édition de la Pléiade, which was prepared under Borge’s own guidance, doe not include Le Livre des être imaginaries as a work fully by Borges. Guerrero was an important figure in Borge’s life; … she was there for him when Borges, already suffering from the ocular illness that would end up leaving him blind, had to dictate The Book of Imaginary Beings.